The Athenian Rivier is unique in Europe. Which other European capital offers an amazing coastline with exceptional beaches and clear waters at a distance of only half an hour from its city center?! Whether you’re visiting the Athenian Riviera or your family is a permanent resident of the area, there are many things to see and do in the area. We’re lucky enough to live in a city with great weather, amazing beaches and where spectacular fun is around every corner. So picking my top 10 things to do with kids on the Athens Coast for Lifestyle Magazine Athens Coast wasn’t easy, but I have made sure to include some classic favourites like the Flisvos Park, The Perivoli that I visited this spring and the Planetarium. Great new things open every year such as the Benaki Toy Museum, L'Amico beach club and the new family-friendly eatery called Hygge House. 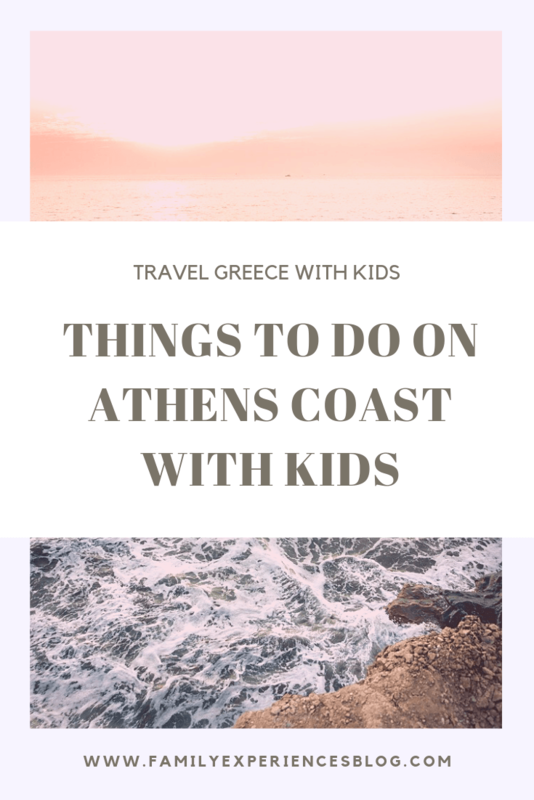 Have a look below and find my top ten list of things to do with kids on the Athens Coast. There’s no doubt that the Athens Coast is a great place for families! The Flisvos Marina was a favourite of mine even before my children were born. It was actually the place for my wedding reception. Although the economic crises did change the businesses located in the port somewhat, it is still one of the most beautiful spots down south. This beautiful port located just off Poseidonos Avenue offers up seaside adventures like boat rentals, sailing, island tours, the Floating Naval Museum Battleship Averof and much food. Grab a bench at family-friendly TGI Friday’s and admire the many luxury yachts or head over to the Volta luna park for play. The play castle, carousel, train, baby carts, boats, trampolines and the other games will help your kids let go off some energy. Babies can play inside the indoor soft play. Easy private parking inside the marina and the large stroller friendly pedestrian area make Flisvos a great place for every age. Nearby to the south is also the Paleo Faliro municipality park with several outdoor playgrounds (and a 12m. high rope tower!) a dog park, outdoor cinema, bike and baby scooter rental and many family-friendly cafes. Housed in a fairy-tale mansion in Paleo Faliro across from Flisvos Marina, the recently opened Benaki Toy Museum is a celebration of childhood. 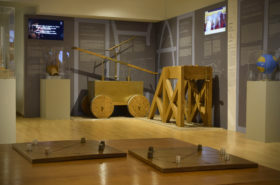 Its private collection of more than 3000 toys with an emphasis on Greek ones dating from antiquity, the Roman, and Byzantine eras feature ancient dolls, toys, books, ephemera, clothing and other items related to children. Don’t miss it because this collection is one of the most important in Europe. The Stavros Niarchos Foundation Cultural Center combines a unique city park with a multifunctional event building housing the National Library and the Greek National Opera. Being the largest green space in Athens, the park offers playgrounds, botanical gardens, open grass areas for play, festivals, concerts and open-air movies. 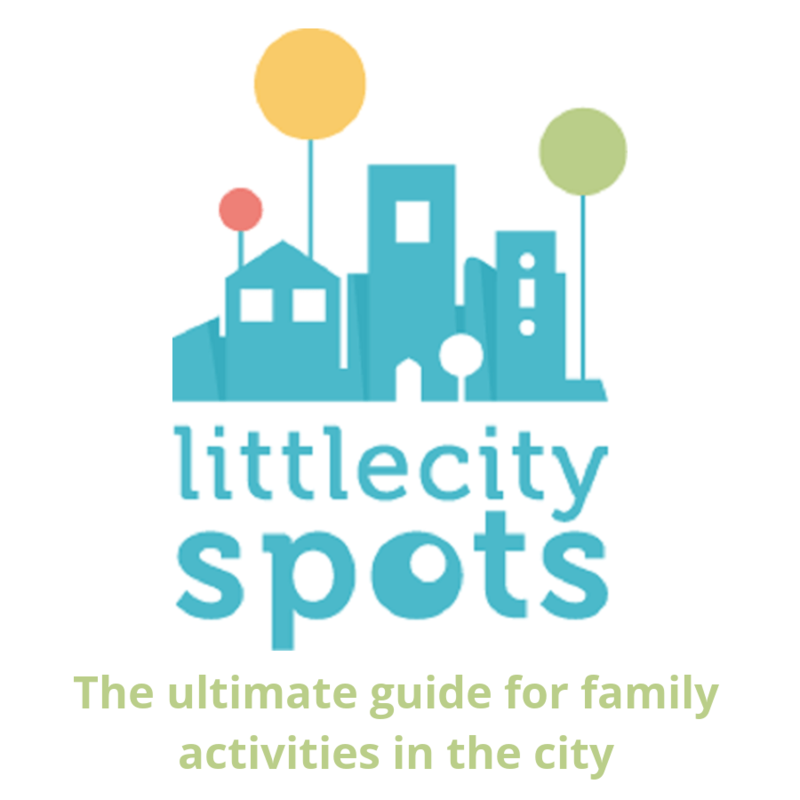 For little ones, the highlight of your visit will be the labyrinth, the wooden climbing toys, experimental outdoor mirrors, the canal with water jets and the bicycle paths. Rent a kid or adult bike or bring your own. My kids love the herb garden and the exciting ‘Lighthouse’, an impressive elevated glass construction overlooking the entire area. Sign up for a membership and participate in an endless program of activities; canoe classes, arts & crafts, kids yoga, dance and theatre workshops and more. In the summer, children burn off excess energy in the outdoor sports fields. In winter there is a free of charge ice skating rink. There are five cafes and restaurants here with the best one on top of the Lighthouse (stroller accessible!) offering a splendid view. What better kids activity than sand and water play! Looking for the best family beach on the Athens Coast? My absolute favourite beach in Athens is Astir Beach. This all year open private beach club features a long sandy beach, a crystal clear sea, (water) sports facilities and large grass areas. There are even some archaeological findings here! A spa, shop and gym will ensure a good experience for the whole family. Thanks to the calm sea with minimal waves, parents can feel at ease with little ones playing at the water’s edge. A beach restaurant and snack corner keep hungry kids happy and the changing rooms, showers and bathrooms ensure that everyone’s sand-free for the ride home. Indoor and outdoor play spaces make this Glyfada based family concept super kids-friendly all year round. A chalkboard wall is perfect for tiny artists in the making, while colourful art and surroundings serve as inspiration. The carpeted outdoor corner with a garden cafe is filled with playhouses and toys. Inside, tots can easily pass the time making their own sweets during baking classes, engage in dance and theatre games or let go of their energy during a treasure hunt. Parents can read a magazine, chill out or enjoy from a large variety of coffees, smoothies, cocktails, health food, burgers and more. A unique place builds as a large beach house, the House Project- Balux Cafe embraces fun for all ages. Equipped with outdoor playgrounds, a baby playground, a small luna park and lots of grass, this family concept offers endless hours of free play. Parents can relax at the garden picnic tables or inside at the large sofas and lounge chairs, read a book in the library, watch TV or enjoy some sushi in the restaurant. There is also a supervised soft play area inside as well as a playroom with board games and a pool table. Maybe my favourite part of this laid-back house concept is the beautiful beach. Enjoy a cocktail while your kids play at the waterfront! Valet parking completes the hassle-free experience at this Glyfada based family paradise. The serene gardens of the urban farm Perivoli in Vari hosts gardening sessions that invite kids to observe permaculture by planting seeds, harvesting vegetables and even cooking up tasty dishes with fresh produce. The Perivoli also organizes sensory play, Mommy & Me gardening and olive and honey tastings to help teach about Greek food sources and get hands-on with nature through gardening. Your kids will have a blast exploring the sand and water table, climbing the trees, hiding in the Tikki or getting dirty in the mud. No need to bring snacks: the farm to fork restaurant serves healthy local produced breakfast, coffee, snacks and lunch. What my kids love most at this mini-paradise? The many dragonflies! Twinkle twinkle little star….the Athens Planetarium is a great experience for kids starting from 4+ years old. This planetarium has excellent facilities with its main attraction the domed auditorium where a variety of constantly changing films are shown related to space and earth. The planetarium with courtyard cafe is located in Paleo Faliro. For a well-deserved break after a day of shopping or exploring, head over to the latest addition to the Athens Coast family scene. Hygge House (pronounced “Hoo-Guh” and the Danish word for ‘cosiness’!) is a brand new family-friendly daytime restaurant in Glyfada that quickly became popular with the local parenting community. It offers a supervised indoor playroom with lots of daylight and creative toys, a baby room for changing or nursing and children’s toilets. Whilst kids are happily playing parents can chow down on healthy brunch options or enjoy a smoothie or homemade Mango lemonade. 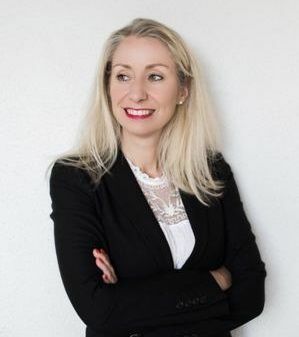 Hygge House is here to stay! If you are looking for a family-friendly unpretentious beach with great Italian food, a clean sea and easy parking, then head over to L’Amico in Anavissos. The sandy beach is perfect to spend a day splashing in the water and building sandcastles. The private gazebos offer extra shade for babies and young children. All kids love pasta and pizza so after a long day at the beach, kids can recharge with their favourite meal. Don’t forget to taste the truffle/prosciutto pizza! 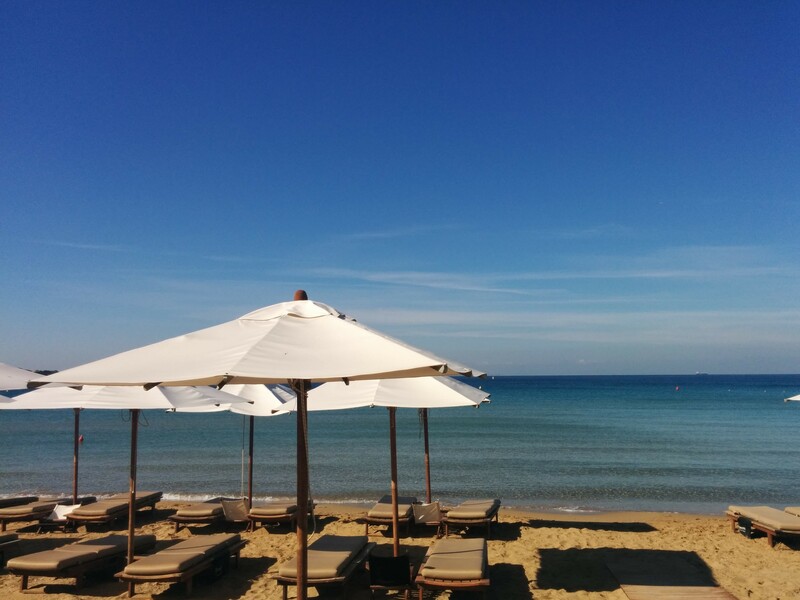 I took the featured photo above this post on a sunny September morning at Astir Beach in Vouliagmeni.